Nikko lies at the foot of Mt. Nyoho-san in the western part of Tochigi and it has developed as the temple town for Futara-san-jinja Shrine, Toshogu Shrine and Rin-no-ji Temple. There runs the Nikko-Suginamiki-Kaido (Nikko's Japanese- cedar-lined Road), which is designated as a natural monument. And the city forms a part of the Nikko National Park. The buildings in Mt. Nikko-san and the forest areas in the surroundings are registered as a World Cultural Heritage site and as a cultural property where nature and buildings are united. Nikko Senhime Monogatari is a Japanese-style ryokan accommodation. The name of Senhime Monogatari comes from the tale of princess Sen, granddaughter of Ieyasu Tokugawa, who stabilized the country after a civil war. 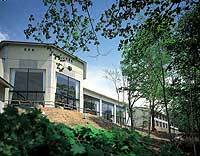 Kinugawa Park Hotels is located along the glen of the Kinugawa river with enjoyable views that change with the seasons. There are many baths such as O-edo Ukiyo-e bath, Hinoki- Japanese cypress bath, open-air bath and Yakata-bune (houseboat) bath. 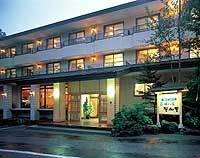 Located in front of the bus stop on National Route 120, Hotel Natural Garden Nikko is very close to World Heritage Sites and serves as a convenient base to access Oku-Nikko. 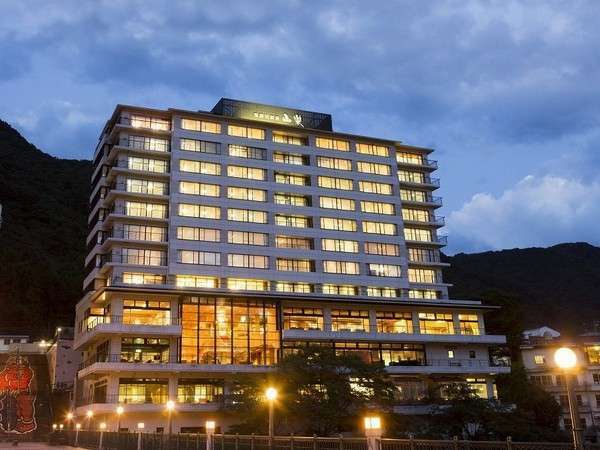 Located atop a rock in the valley, Kinugawa Plaza Hotel is a long established, 12 story modern hotel capable of accommodating up to 880 guests. The lobby and rooms face the river offering superb views. 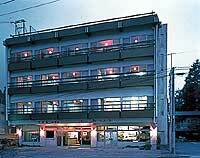 Kinugawa Hotel Mikazuki is just a 3 minute walk from Kinugawa Onsen Station. This resort hotel is situated by the Kinugawa Valley and is designed to match the surrounding natural beauty and present itself as a modern hotel. 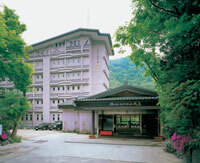 Kinugawa Onsen Hotel has more than 60 years of history serving traditional Japanese hospitality and warmth, renovated in March 2006. 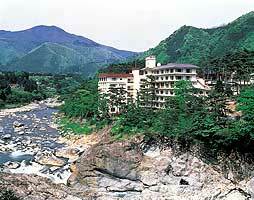 The hotel overlooks the Kinugawa River and offers splendid views of nature. 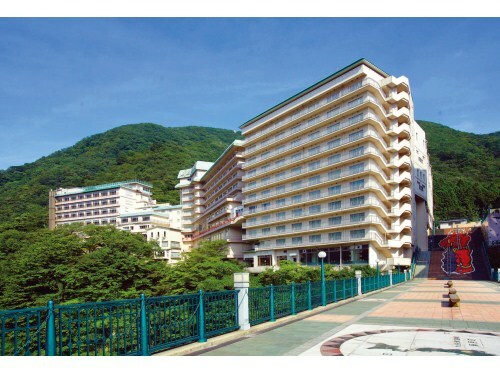 Kinugawa Grand Hotel Yume no Toki overlooks Kinugawa onsen. The spacious facilities embodies the best of modern architecture. The Japanese garden is fantastic when lit up in the evening. 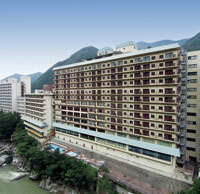 Nikko Kanaya Hotel was founded in 1873 and this long established resort hotel is one of the oldest hotels in Japan. Closely located to World heritage Nikko Toshogu Shrine, it is convenient for tourists. 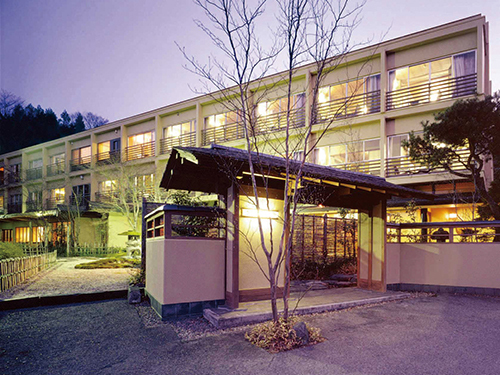 Oku Nikko Hotel Shikisai, built in March 1996, is a large (approximately 36,400 square meters) new-style Japanese Ryokan located on the shores of the pristine natural Lake Chuzenji. All rooms feature views that change along with the seasons. By the clear-running waters of the Kinu River, immerse yourself in the elegant mood of a lovely "hot spring town." Here, relax in the highest grade of hospitality known. "Sanraku" is a Japanese inn crafted for sheer luxury and chic. 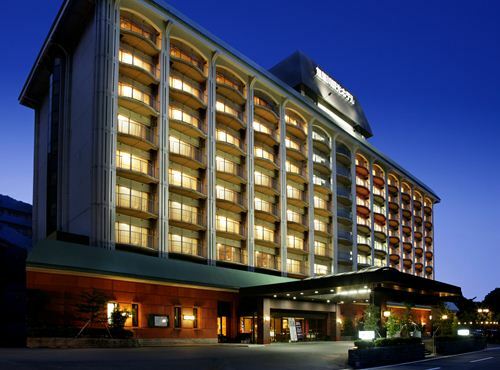 Nikko Green Hotel Natsukashiya Fuwari offers fantastic seasonal views, relaxation at the main hot spring bath and a casual style restaurant. This ryokan feels just lie you're at home but with the added hospitality. Kinugawa Gyoen is one of the largest scale ryokans but each guest is meticulously served. The view of the Kinugawa valley can be seen from the lobby, main bath and the guest rooms. Entering the gate of the house of Heike's defeated soldiers,a panoramic view of Yunishigawa Valley unrolls in front of the guest and guest can experience the traditional Heike culture.There are five hot spring baths for men and women,enabling a bath tour. 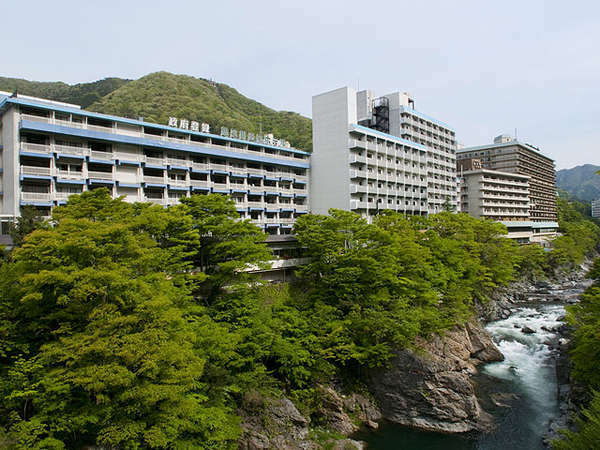 Kinugawa Kanko Hotel Bekkan is situated along the scenic Kinugawa river and is just a five minute bus ride from Kinugawa station. A wide range of facilities are available including multiple baths, an arcade and karaoke. Hotel Harumoto is a Japanese-style ryokan located in the special scenic zone, and within walking distance to Nikko Toshogu. 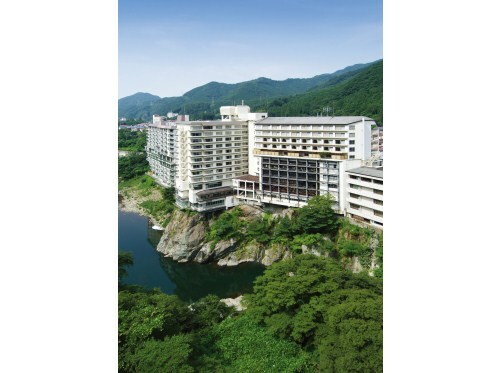 Hotel Shirakawa Yunokura is located along the Kinugawa Valley and offers wonderful views. The ryokan has its own hot spring source and main bath, private bath and open-air bath available for 24 hours. Nikko Tokanso is a Japanese-style ryokan located on the site where Sendai's feudal lord Date's villa used to be in the shrine and temple district. The inn overlooks the Inari River and has a historic garden. 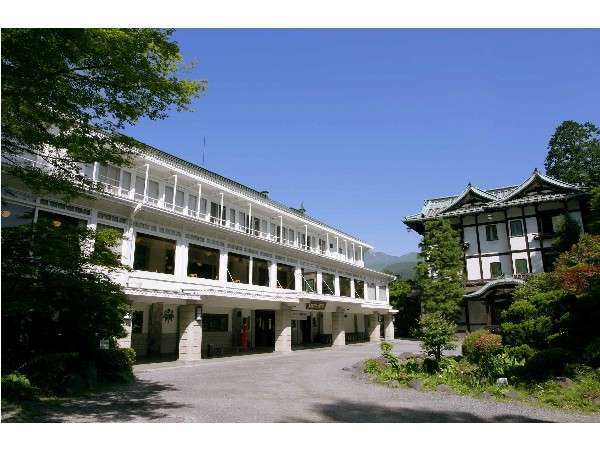 Hotel Seikoen is a Japanese-style inn located on the precincts of Toshogu Shrine and in the midst of nature in Nikko National Park. 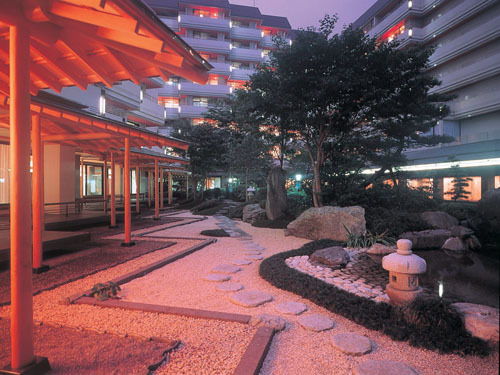 Hotel Seikoen provides modern spacious facilities, personalized services and carefully prepared seasonal dishes. Hanaonoyado Matsuya is situated in a ravine by the Kinugawa River. The Japanese-style garden harmonizes with the green pine trees and nature. The view from the main bath of the Kinugawa River and surrounding mountains is splendid. 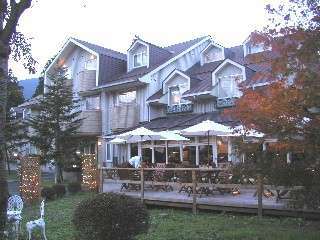 Chuzenji Kanaya Hotel is a Western-style resort hotel with the exteriors of a Canadian log house, located in the special zone of the Nikko National Park. 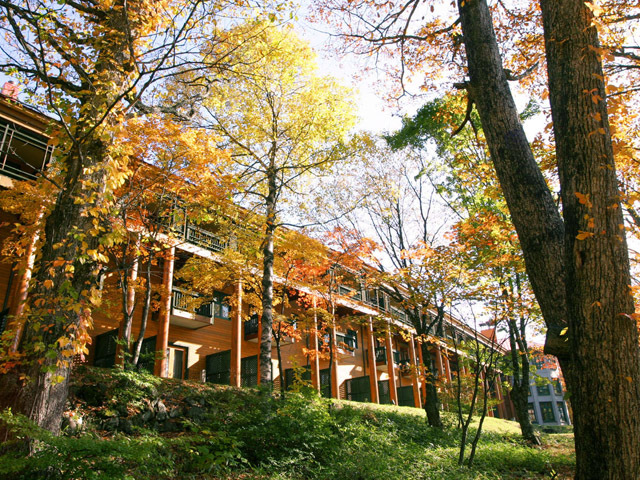 All guestrooms face the lake and have either a veranda or a terrace. 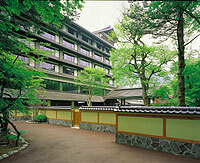 Asaya Hotel was founded 120 years ago and is the most traditional hotel in Kinugawa Onsen Resort. The open-air bath on the roof is 80 meters high from the river and offers the whole view of Kinugawa Onsen Resort. Nikko Hoshinoyado is a Japanese-style inn located on Shinkyo hill, with fantastic views of Kirifuri Kogen highland and Nikko Mountains. The hotel features a Japanese restaurant and a Japanese cypress bath. Kashiwaya was founded in 1926 and the hot spring baths are famous for distinctive history and traditions. 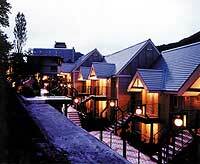 It is located at the most beautiful scenery in Kawaji Onsen Resort where Kinu River and Ojika River meet. Fall foliage is the spectacular views. 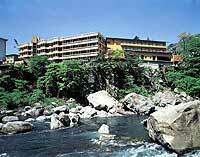 Yamashiroya is situated at the height of Yunishigawa Onsen Resort and all rooms are faced to the river. This hotel features rustic cuisine made with ingredients taken from the nearby mountains and river cooked over a hearth. There are lonely in the mountains. Large the natural hot water. The water might effect of about 40.